This week we kick off a special HOLIDAY EDITION of #GravePlots! We add a random implements of Holiday Terror that we pull from which may include a baby jesus nativity scene piece. 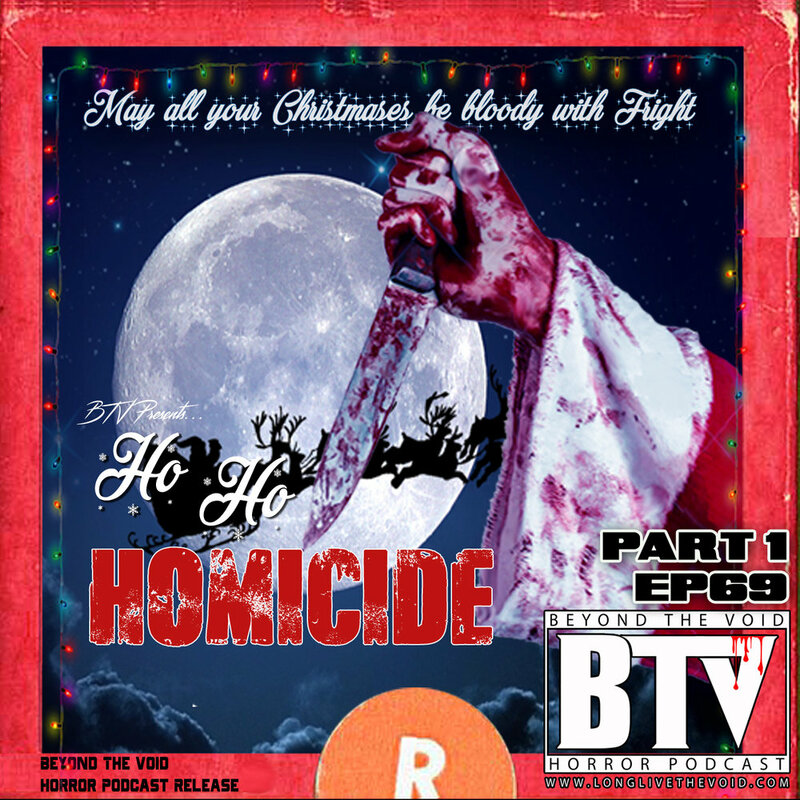 We jump into making a story called “Ho Ho Homicide”. The story is pretty insane. When a local radio DJ (Dennis Leary) plays Bing Crosby's “White Christmas” backwards anyone dressed as Santa Claus starts murdering people. Plus we dive into some of the recent news and even come up with a brand new #Horrorshot as a pregame for the Thursday episode for movie “A Cadaver Christmas”. So grab elf costume, don't forget your candy cane and be sure to grab your rap mix tape as we travel Beyond The Void! WE ARE BACK ON ITUNES! Subscribe, Rate and Review! NEWS Check out the links! "Devils Gate" is releasing on it. Movies we talk about THIS Thursday! Don't forget to tune in!